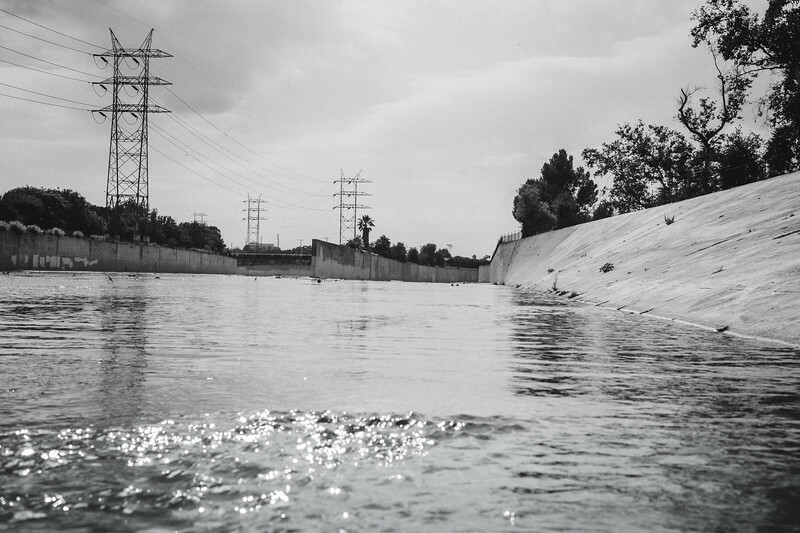 Los Angeles River in Glendale, black and white, May 2015. Most people probably will not like this photo. I dig it. The whole point of visiting the concrete-entombed Los Angeles River (for flood control purposes) is to be thrown off balance by the attempt to control nature, right? That's why I didn't even bother to straighten the pic. I used the new and free VSCO Tri X presets to convert to black and white, btw, and then did some additional monkeying around using Google NIK collection software. All my galleries are here and my Southern California gallery. Questions about prints or digital licenses? Feel free to email me.